Defense attorney Mark O'Mara says parents need to be held legally responsible for what their children do online with the access they provide. Above, he appeared in court in a pretrial hearing for his client George Zimmerman last year. Central Florida attorney Mark O’Mara says he is drafting a law that would hold parents accountable in some cyberbullying cases, following the arrests this week of two girls in a Florida bullying and suicide investigation. 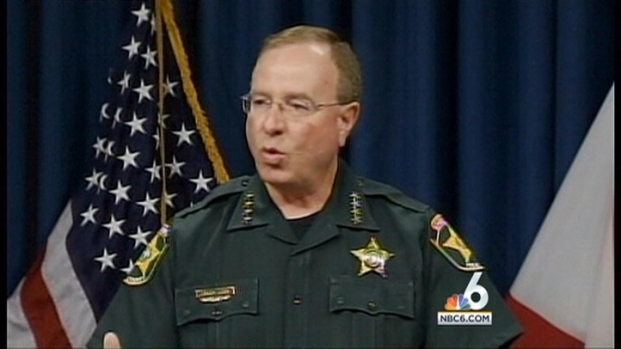 A 14-year-old girl and a 12-year-old girl were primarily responsible for bullying Rebecca Sedwick, 12, who committed suicide last month, Polk County Sheriff Grady Judd said this week. They were charged with third-degree felony aggravated stalking and released to their parents. NBC News generally does not name juveniles charged with crimes. After 12-year-old Rebecca Sedwick committed suicide last month, one of her tormenters continued to make comments about her online, even bragging about the bullying, Polk County Sheriff Grady Judd said Tuesday. NBC 6's Adam Kuperstein reports on the arrest of a 14-year-old girl and a 12-year-old girl who were primarily responsible for bullying Rebecca, according to Judd. On his O’Mara Law Blog on Thursday, O’Mara highlighted how Judd said he wanted to charge the 14-year-old’s parents, but there were no “obvious charges” to bring against them. He also noted that the parents refused to bring the girls to authorities for questioning. Family attorney Andrea DeMichael denied that the 14-year-old girl wrote the Facebook post, and told the “Today” show that she is not a bully. "My client and her family are deeply saddened by Rebecca's death and send their condolences to Rebecca's family,” DeMichael said in a statement. She said the parents regularly monitored her social networking activities, including on Facebook, but didn’t see the alleged messages and therefore didn’t see a problem to confront. In his blog post, however, O’Mara made the case that the willful blindness or gross negligence he said the parents showed about their 14-year-old daughter’s alleged cyberbullying should be criminal. Earlier this year O’Mara successfully defended George Zimmerman against second-degree murder and manslaughter charges in the 2012 shooting death of Trayvon Martin, 17, of Miami Gardens. Zimmerman was acquitted of those charges in July. O’Mara wrote Thursday that parents need to understand that their children can break the law and harm with the technology they give them – and understand that allowing their kids to go online brings with it responsibility and liability. He added that there are several substantial obstacles that must be overcome before such legislation is passed.